Tax liens are manners to lawfully ensure that a person, business, or loaner will be paid off for a debt. This is done by putting a limitation on the debtor’s property, which restrains them from reassigning its title or employing it as collateral to incur additional financing. Tax liens can be placed on a type of personal property of realty. One of the most usual liens nowadays is mortgage. Other kinds of liens have their own rules and deadlines concerning filing, and may be different from state to state or even county to county. The two types of liens are particular liens and general liens. Particular liens come up when someone claims a right to keep a property in respect to the spent cash and labor on the specific property. This lien may be made out in any of the following two ways: first, by express contract wherein there is an implied contract as in the usage of trade; second, by legal arrangement of the two parties when the contractor completes the contracted work on the property or goods that have been relieved. Now general liens will be issued when there is an agreement of the two parties, by general usage or trade, or by particular trade or usage. Additionally, almost all liens are separated into two groups: first is the legal and federal lien which may be enforced by law and second, the equity liens which are valid only in the court of equity. To make a valid lien, it is crucial to ascertain that the party is required to hold absolute ownership of the property. The person claiming the lien has the authority to do so and that the lien is placed in purpose of an arrangement of payment created by the two parties. Liens may be accompanied by personal property or real estate for either of the following reasons: to pay for the tax debt; to pay for the labor services that have been rendered and the supplies used; and for the mortgages. A tax lien may be waived once the debt is either fully paid or on arrangement between both parties. When tax liens go unpaid, the tax lien holder may demand immediate payment, or may take possession of the property in accord with the local lien laws. 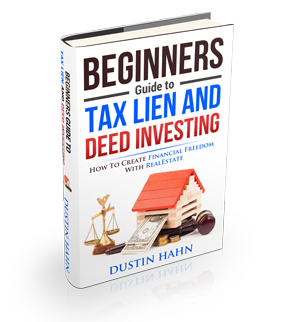 Liens can also be sold at an auction for the price of the tax lien, regardless of the property’s value, and to a third-party investor.